The future's a gamble. Few people know what they really want, and those that reach it often find that it isn't what they expected. 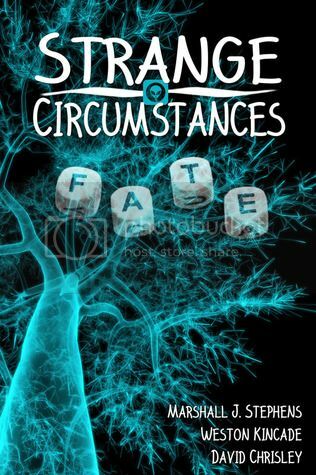 Strange Circumstances is an anthology of stories exploring the predictability of fate and destiny... or rather their unpredictability. In the twelve twisted tales and fifteen flash-fiction pieces, Strange Circumstances explores the boundaries of our universe to see what lurks in the unknown, hidden within the mysteries of science, magic, extraterrestrials, religion and the paranormal. Amid celebrities who hit their peak and vanish, a tree that grows up from the floor of a moving train car, unspeakable conspiracy, monstrous espionage, and wicked sorcery, there is something within these pages for anyone who enjoys dark tales and twists of every sort. This book has a collection of short stories that you will get you hooked. I loved all the stories and I tell you I couldn't put it down. If you enjoy these kind of stories I know you will enjoy this book as much as I did. Thanks for reading and reviewing the book, Chantale. I'm glad you enjoyed it and hope others will too.